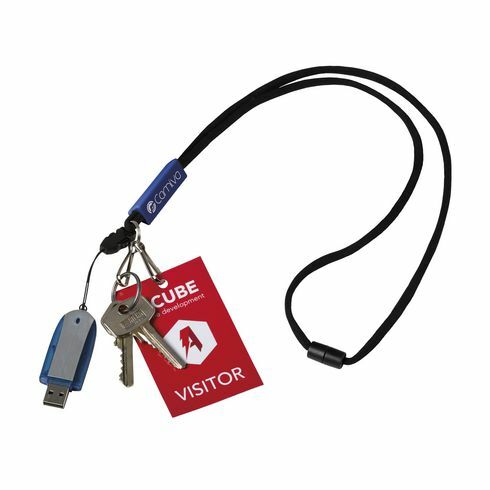 Functional keycord with a • round cord • safety closure • metal key ring • removable phone pendant • 2 metal keycord hooks. Suitable for carrying multiple items, including keys, passes and tickets. Ideal for using at exhibitions, seminars and events.